This entry was posted on June 2, 2013 at 8:18 pm	and is filed under Photos. Tagged: Business, Corning, People. You can follow any responses to this entry through the RSS 2.0 feed. You can leave a response, or trackback from your own site. Do you know what country he immigrated from? The 1910 & 1920 Census states Austria. 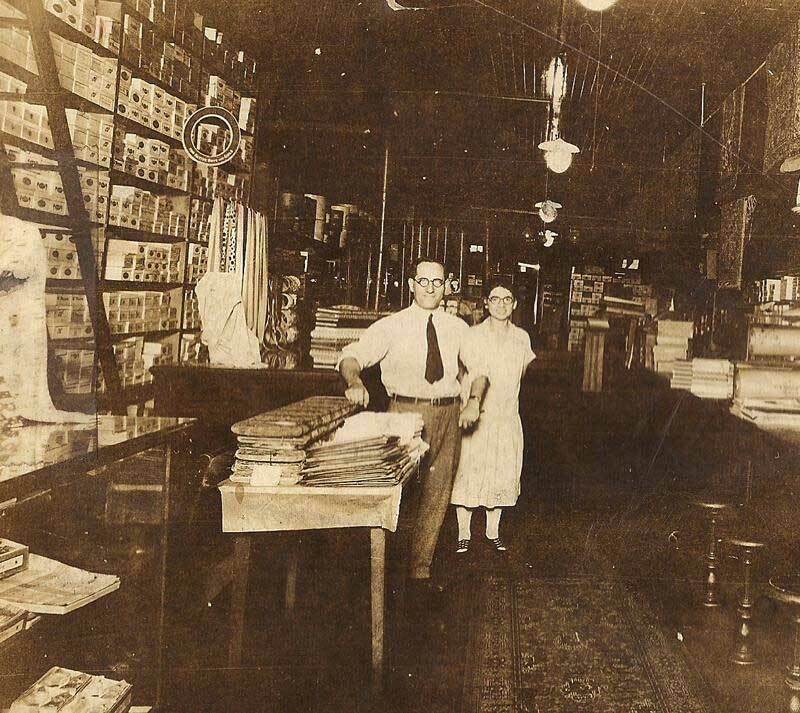 The people in this photo are my Grandmother, Bertha Eichenbaum Levion and Grandfather, Marcel Levion – not Bertha’s adopted father (and uncle) Sam Eichenbaum – who founded the store where this picture was taken. My father, Leon Levion believes this photo is from the early 1920s.